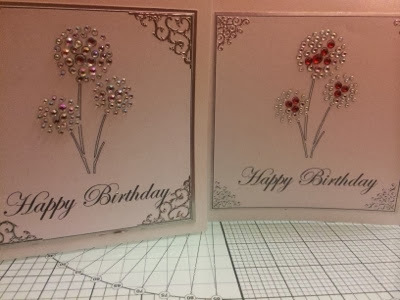 Well 2 of my friends designed these bubble cards Dawn Watson from dusk till Dawn and Franki who owns crafty touch in Darlington. All you have to use are gems or you can use glitter. I use gems and I find it so therapeutic. Dawn came to Franki's for a card making day and all I did we're making these cards as they don't need much to do, and I find them so effective. 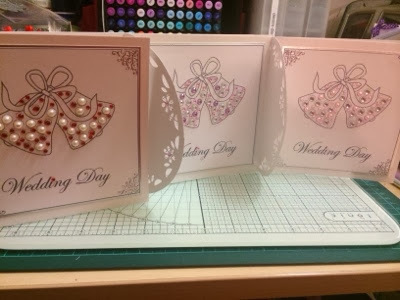 In a 5hr class I made these 8 cards and I am so pleased with what I had done. 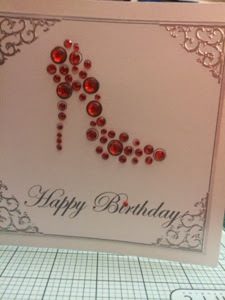 And the shoe one I did all in red using red gems and I actually thought of Cara from ruby red crafts lol. These are all gorgeous and so effective. 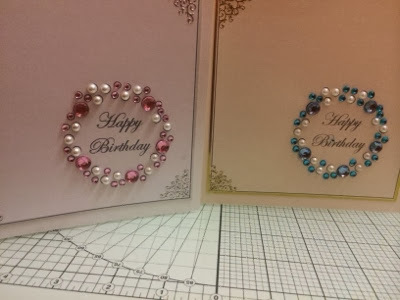 These are really beautiful - love them all, but my favourite is the blue and pearl Happy Birthday wreath - fabulous! Sam these are great cards.